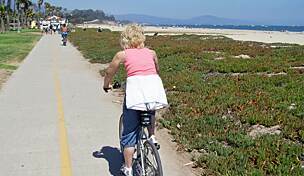 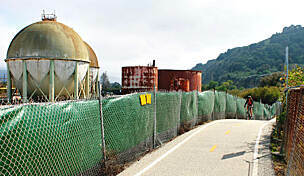 Starting at Goleta Beach State Park, the Obern Trail (formerly known as Atascadero Creek Bike Path) travels east toward Santa Barbara's center, following a flood-control channel. 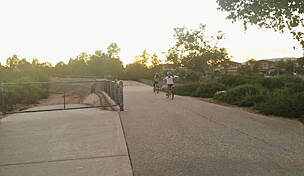 The paved path is a popular commuter and recreation trail. 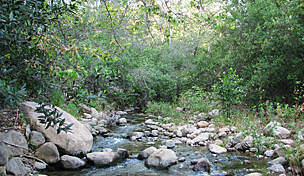 Small wildlife and birds hang out in the native riparian habitat along the creek. 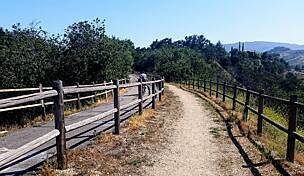 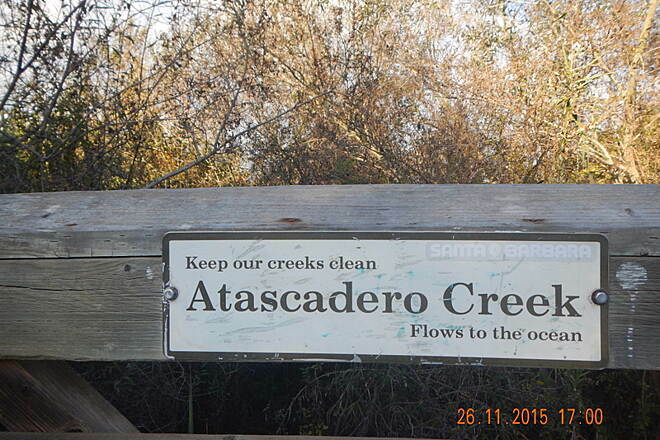 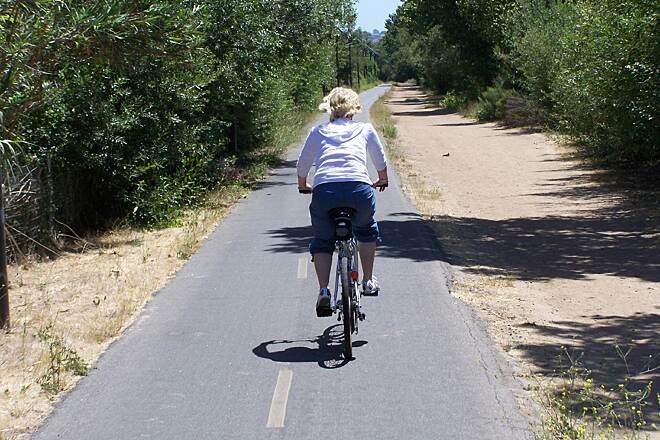 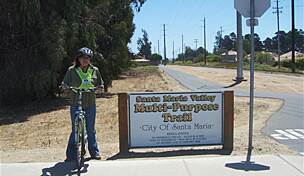 The trail intersects the Maria Ignacio Creek Trail near Patterson Avenue. 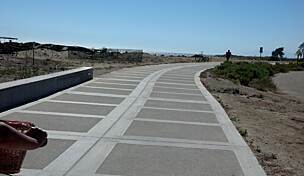 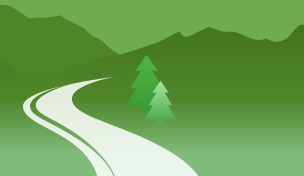 You can access the trail anywhere it crosses a road. 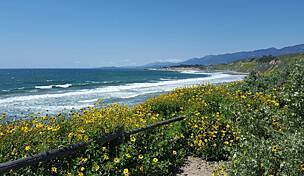 Parking is at Goleta Beach State Park in Goleta. 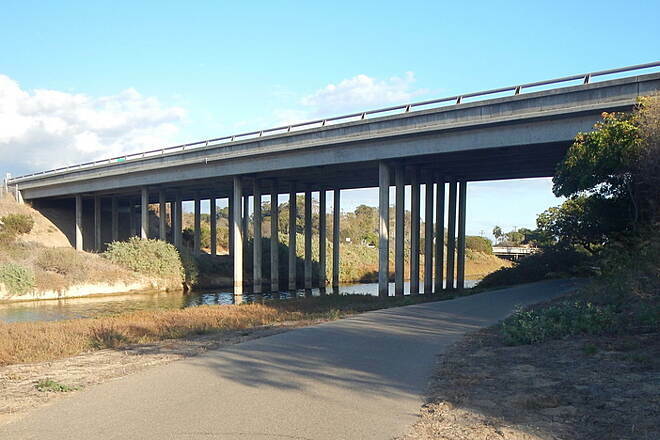 Take Moffett Place to Sandspit Road and park just before the bridge crossing the channel. 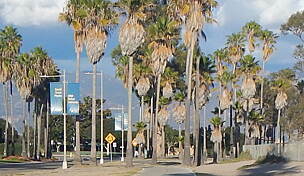 From Ward Memorial Blvd. 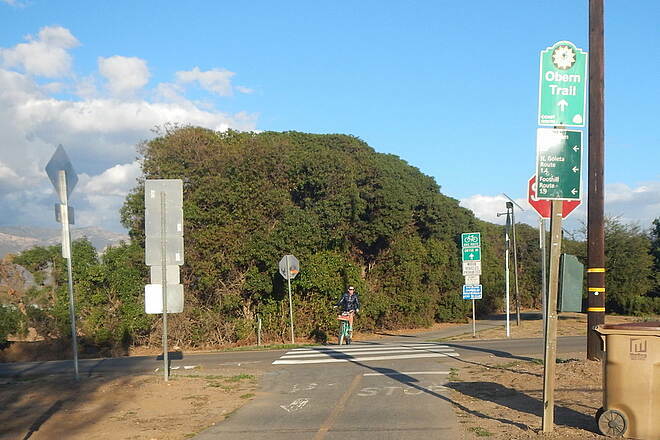 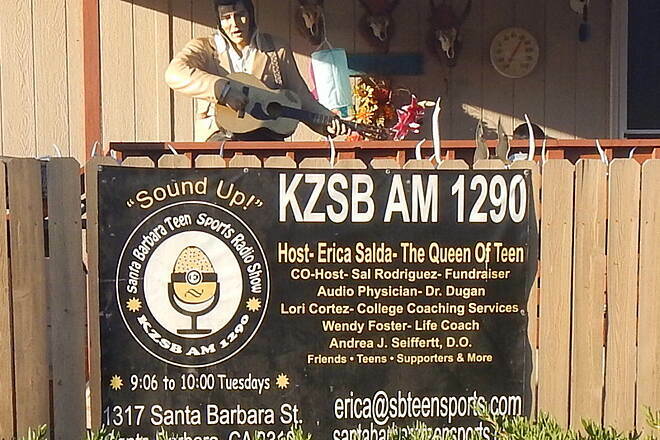 heading toward Santa Barbara, exit at Sandspit Road. 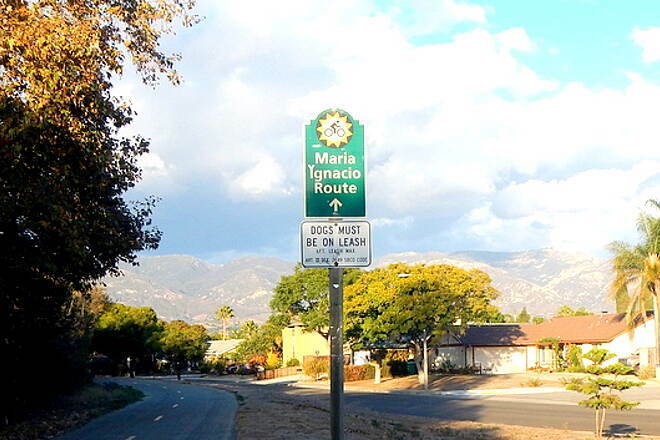 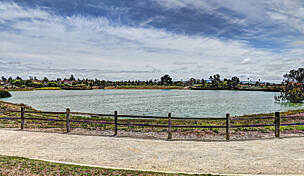 From the boulevard heading toward Goleta, take the Moffett Place Exit and turn left on Sandspit Road. 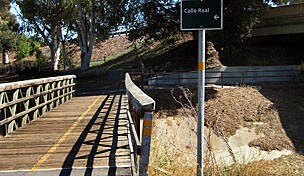 Park just before crossing the bridge (don't go over the channel).